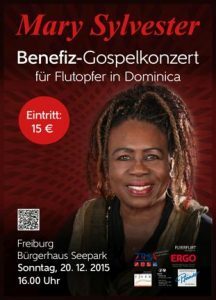 Benefit Gospel Concert – for the flood victims in Dominica – Mary Sylvester & Band. Mary Sylvester began her career in New York. Mary Sylvester and her brothers, the band “The Sylvesters”, recorded several albums in the USA. One of them is: “The time is now to get together”, a soulful ballad. 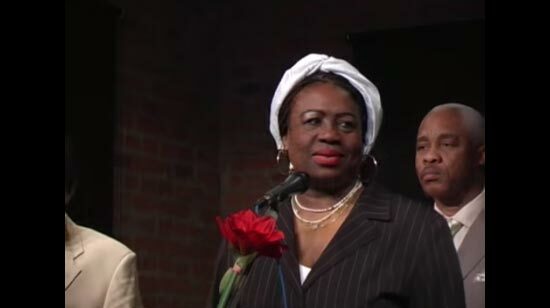 Mary Sylvester & Band received the famous “Caribbean Music Award”. 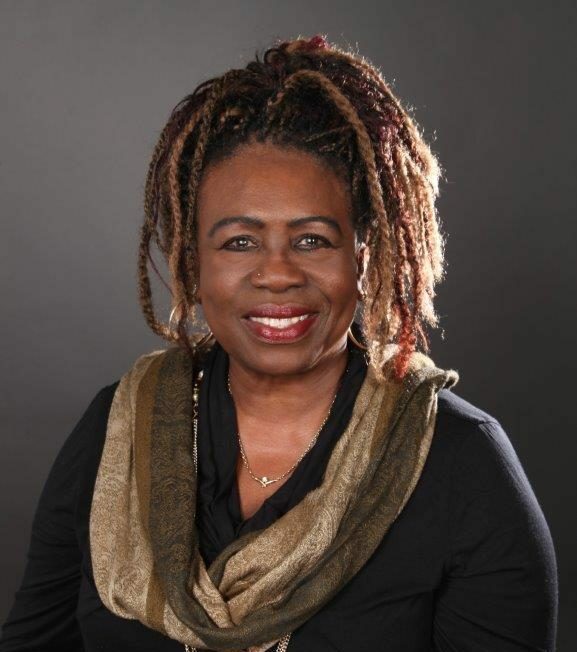 Mary Sylvester is touring in Europe, performing live music of all kinds: Blues, Rock, Funk, Pop, Soul, Jazz, Reggae, and Gospel. As a trained actress, Mary Sylvester played in theatres in Germany and has radio- and TV-experience. Mary Sylvester sings as well in large halls as in small clubs. Her heart went for the Gospel-music, the heritage of her ancestors. These songs full of religiosity she performs in churches, at weddings, private parties, and at funerals. 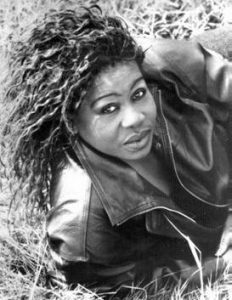 Mary Sylvester The text and the music from the Soul singer from USA is a unity. Mary Sylvester texts and composes many of her songs herself. Her style is unique and inspiring, and much of her fascination is coming from her great experience in live performance. Also the buyers of her CDs will be rewarded; on every record you feel the prickling live atmosphere. The songs of Mary Sylvester are plain to understand with the message she brings across, and the singer, like Albert Schweitzer, has an awe of life and produces good vibrations, but most of all, a “Good Feeling”!